It's not for anyone only for the people who's looking for a challenge. The descending path is kinda hard but it deserves every single hard moment. amazing scenery and very relaxing atmosphere. 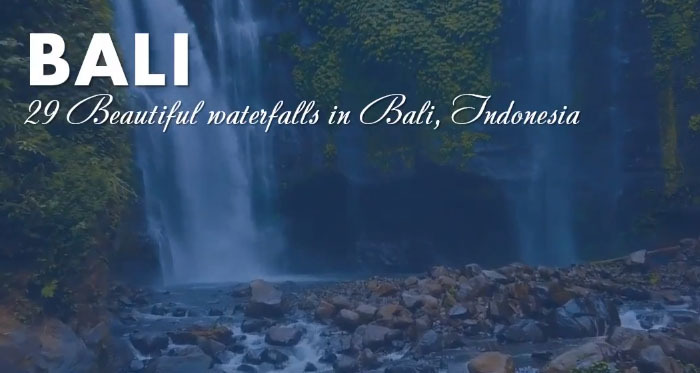 Sekumpul Waterfalls (Singaraja) - Amazing, this is one of Bali's most scenic natural attractions. 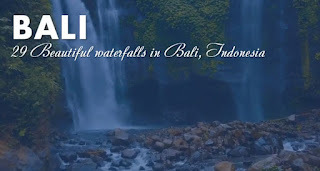 Melanting Waterfalls (Munduk) - Very necessary and guaranteed you will be satisfied to visit the waterfall melanting. Nungnung Waterfall (Nungnung) - To reach this place we have to go down through 560 stairs. Gitgit Waterfall (Singaraja) - Gitgit waterfall is located in Gitgit Village, Buleleng. It is about 90minutes drive from Denpasar. Peguyangan Waterfall (Nusa Penida) - amazing beautiful island. Swimming in natural pool but please do not swim in the Spring water. Lemukih Waterfall (Singaraja) - Really good atmosfer, great experience, countryside, trekking along ricefield, big river, waterfalls. Blahmantung Waterfall (Tabanan) - Very pretty. The water is cool and fresh. Sambangan Waterfall (Singaraja) - Amazing valley full of waterfall after waterfall and more jumping spots than you can imagine. Kroya Waterfall (Singaraja) - Awesome! You can slide of the waterfall with a life vest and it is so amazing! Colek Pamor Waterfalls (Singaraja) - Very beautiful waterfall! Tangkup Waterfall (Tembuku) - Hidden and great place for trekking! Green canyon and tangkup watefall locate in Dusun Undisan, close to Tukad Cepung Waterfall. Jagasatru Waterfall (Karangasem) - It's located in Duda Timur village, Bebandem distric, Karangasem regency. Jembong Waterfall (Buleleng) - Very beautiful waterfall!